Information Extraction (IE) is the task of mapping unstructured text to semantic representations. Sentiment Analysis (SA) is the task of identifying a person’s attitude about an object from text (e.g., a product review). Both technologies have become increasingly successful and prevalent in recent years. I will describe the state-of-the-art in both IE and SA, and demonstrate a number of their applications in research prototypes such asrevminer.com and at companies such asDecide.com. Then, I will describe the synergy between these methods and collaborative filtering algorithms, reporting on our recent results applying combinations of these methods to Yelp data. 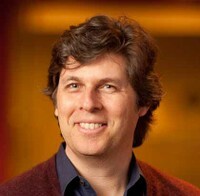 Oren Etzioni is the Executive Director of the Allen Institute for AI. From 1991 to 2013, he was a Professor of Computer Science at the University of Washington. Oren received his PhD from Carnegie Mellon in 1991. He received the National Young Investigator Award in 1993, and was selected as a AAAI Fellow in 2003. He is the author of over 100 technical AI papers cited almost 20,000 times. He is also the founder of three companies: Netbot (acquired by Excite in 1997), Farecast (acquired by Microsoft in 2008), and Decide (acquired by eBay in 2013). Online advertising is one of the most complex online systems, with two major scenarios: search advertising and contextual/display advertising. Search advertising is relatively straightforward by serving ads to users in response to users’queries, which is more like a retrieval system. Contextual/Display ads, on the other hand, is much more complicated, since there is no direct indicator of the users’ need. To deliver the right ads to the right person in the right time, the system has to infer user’s intent by considering user’s demographic information (age, gender), contextual information (time, location), historical behaviors (search queries, page views, ad clicks), social data and so on, which makes it more like a recommendation system. This talk will review the evolution of contextual/display ads and introduce today’s ecosystem including RTB, DSP, SSP and DMP. We will see the whole evolution is about improving efficiency and effectiveness of serving users with right ads, which inevitably involves recommendation technologies. Besides the applied recommendation technologies in online advertising, future opportunities and challenges will also be covered. Dou Shen is the Director of Baidu’s Advertising in China. Baidu is the largest Chinese-language search engine in the world. At Baidu, Dou directs an R&D team on building advanced technologies to support billions of ad impressions every day while satisfying users’ information needs. Before joining Baidu in 2012, he was the Senior Director of CityGrid Media in Seattle, WA, USA, which is the largest local-business content and advertising network in US. Prior to that, he was the Co-Founder of an advertising startup Buzzlabs in Bellevue, WA, USA, providing a comprehensive social media monitoring and analytics platform for business owners and content providers. He was also a Program Manager of Microsoft adCenter Redmond, WA, USA between May 2009 and Nov. 2010, where he was recognized with Microsoft Gold Star Award. Dou got his PhD from Hong Kong University of Science and Technology, and Masters degree from Tsinghua University in China. At HKUST, Dou led team to win the 2005 ACM KDDCUP on search query categorization. 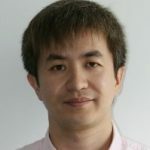 Dou has been the associate General Chair for ACM KDD 2012 in Beijing, founding co-chair for AdKDD Workshop series at ACM SIGKDD, etc. Baihe (meaning Lily flowers, a pun for happiness forever in Chinese) is one of the largest online dating companies in the world (see www.baihe.com). Each day, we help millions of Chinese and international customers find their loved ones. An associated regular and popular television dating show, known as Take Me Out (fcwr.jstv.com), is watched by over 50 million TV watchers each time. With such immense popularity, we also feel the weight of full responsibility. In this talk, I will discuss the technical challenges associated with online and mobile reciprocal recommendation technologies underlying the service. I will discuss the issues of user modeling, search and ranking, as well as trust and user privacy in our total solution system. We hope to inspire researchers in inventing new algorithms to serve our users better, and increase the happiness of our ever-growing user base. Yan Mu is the Co-founder & Chief Happiness Officer at Baihe.com, one of the largest online matchmaking sites in China. He specializes in managing the business strategy, marketing, product design, and overseeing software development. Prior to Baihe.com, he was the co-founder and president of United Info, then No.1 hotel network service provider in Beijing local market. Yan got his B.E. and Master’s degrees from Computer Science in Tsinghua University in 1996 and 1999, respectively.